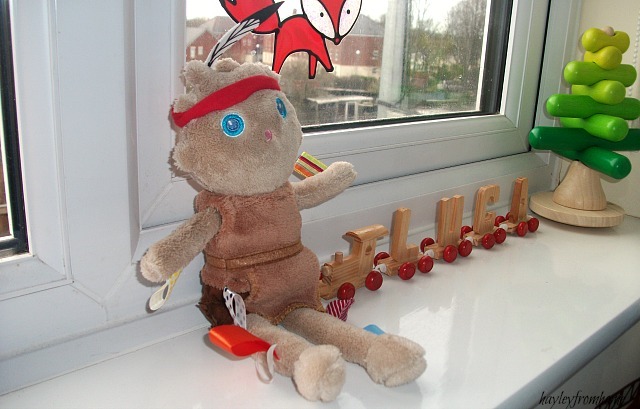 The lovely people at Wauwaa have sent us this cute little guy, he has been living with us this past week and has provided hours of play and entertainment for a very happy little toddler in our house. As soon as he arrived, packaged in a little box with his face peeking through the window, Lucas took to him. 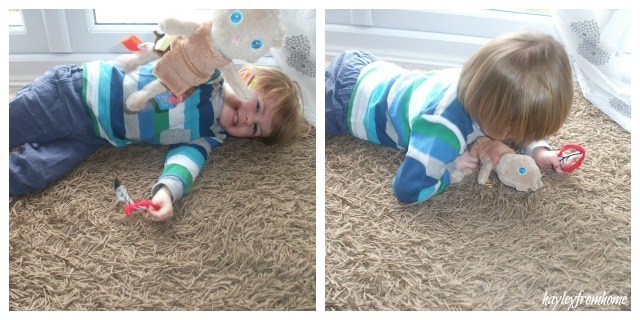 Once he was out,we realised how amazingly soft he is and lovely and tactile with little tags on his arm and legs. He has arrived at the perfect time for us; with our new additions Lucas has trying to look after his soft toys just like he sees us look after the babies. The Indian Bro is perfect as he can be dressed up in his outfit; he’s very hugable and it’s easy for little hands to move him around. Lucas likes to hug him close against his cheek and walks him around our living room while taking his headband on and off. I love that it’s great for his fine motor skills and encourages plenty of imaginative play from Lucas; he looks into his face while he talks to him and quite often he takes him off ‘flying’ on a tour of the house. He is quite different from most soft toys as he has different parts to explore, different materials, the feely tags and the removable clothes and headband mean that Lucas interacts with him much more than other toys. I think Snoozebaby products are totally different and unique, the Dutch brand has a range of products all focusing on being super soft with different fabrics. The Indian Bro Dress up Doll has been a total hit with Lucas; I wasn’t sure how much he would take to him as he isn’t like anything else we have but he has leapt up into prime spot at bedtime so I think it’s safe to call him a favourite. Wauwaa are a Snoozebaby retailer and their products will be avaiable from the 17th February as part of their Toy Week. Head on over and check them out as they offer some amazing prices on brands that really stand out. Disclaimer – We were sent the Snoozebaby Indian Bro free of charge to review. All thoughts and opinions are mine and Lucas’.